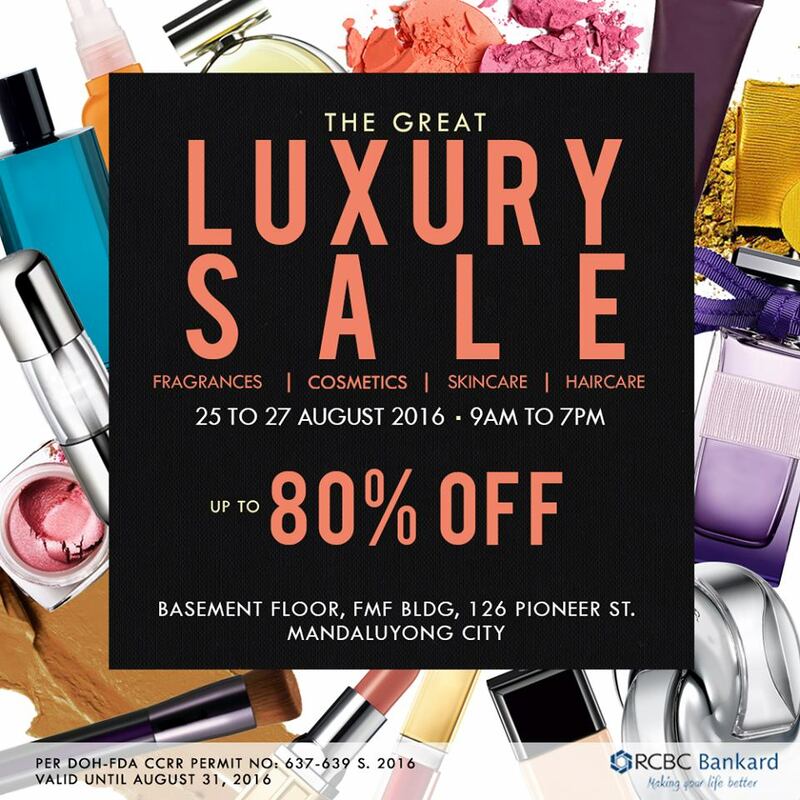 THE GREAT LUXURY SALE is back! Check it out on August 25 to 27, 2016 at Basement Level, FMF Compound in Mandaluyong. Get up TO 80% OFF on luxury fragrances, cosmetics, skincare, and haircare products.